The Spring has started off with a bang on the Nor'easter. The weather has kept us in two weekends, but, the three trips we have taken to Jeffrey's have all been outstanding. 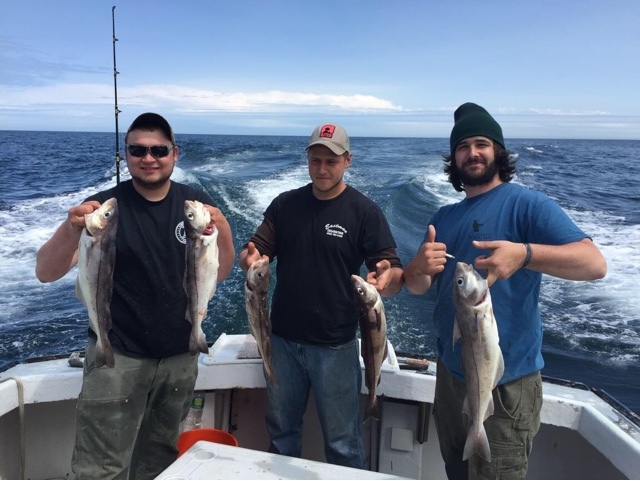 The latest was this past Sunday when we limited out on haddock for 6 people. We are allowed 15 per person this year and have been taking advantage of the new bag limit. 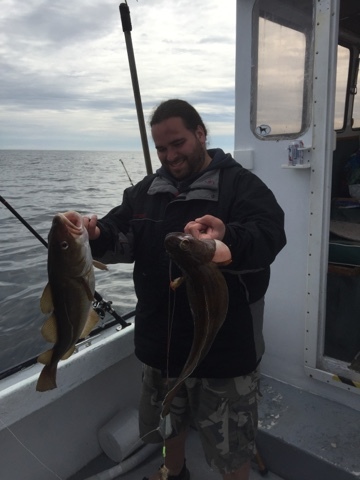 There are also a ton of cod up to 20lbs that we are releasing every trip. The cod numbers seem to be very strong this year. We will be allowed to keep one per person starting in August. I am starting my striped bass fishing trips this coming weekend. I'm very excited to get the striper season underway after the success we had with it last season. The early reports from shore fisherman have been good. The schoolies arrived around the end of April and I just got some reports of keeper sized fish being caught today. That means it's time to go! The after work trips last year were a big hit and I will be running them again this season. Weekdays 4-7:30 for $350. That's $350 for the boat whether you come alone or with up to 5 of your friends. 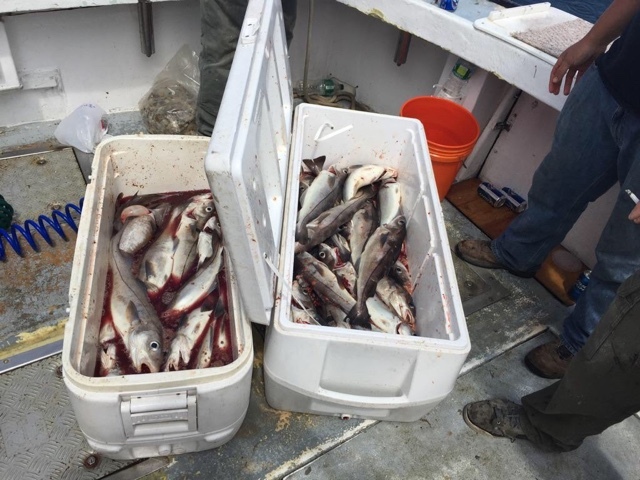 It's tough to beat that deal for a private striped bass charter! Give me a call at 603-918-3627 and let's go fishing!